Fly To Akureyri, Iceland where we will pick you at the airport and take you to our lodge. Enjoy wonderful views and fantastic accommodations in our lodge with amazing gourmet cuisine. The Laxardalur including round trip transport from Akureyri, shared guide with full room & gourmet meals is $950 USD Per Day, Per Person. The Myvatnssveit is $1100 USD, Per Day, Per Person. $550 USD, Per Person, Per Day, including lunch. 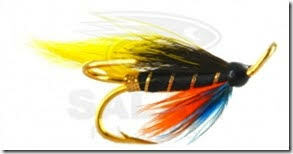 Varma River in late August chasing the fresh run seatrout with a guide and lunch for 2 persons minimum. 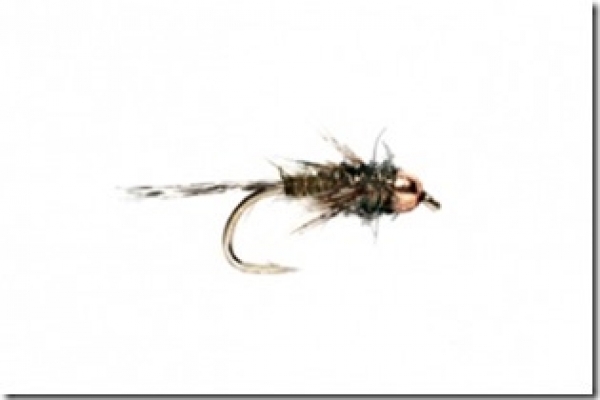 The fly rod can be shared - The shared rod price is $600 USD,- per person/per day sharing a rod and room on Laxardalur. But also including the guide and the transport. On Myvatnssveit the shared rod & room price is $700 USD per person per rod/per day. The Laxardalur is fished with maximum of 10 rods per day. Our guests landed 615 trout, well over 50% bigger than 20“. Biggest ones closing in on 30“. Myvatnssveit costs each person approx $1.000,- per day. That includes pick up in Akureyri (nearby town), transport to the lodge, fishing for up to 12 hours per day in two 6 hour sessions starting mid-day at 16:00 – 22:00. Overnight accommodation in private room with made up beds. Full board of dinner the first night, breakfast and lunch. Guide service of 1 guide per 2 anglers. Transport back to Akureyri airport. For this the price on Myvatnssveit is roughly $3.000 USD,- per person. On Laxardalur the price is roughly $2.570 USD,- per person. 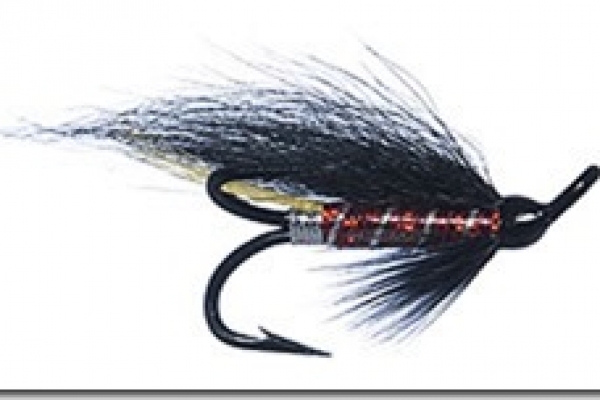 Myvatnssveit is numbers and size – 3.284 trout landed in 2017 with over 50% 20 inches or bigger. 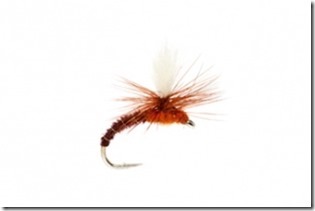 Laxardalur is size and more dry fly fishing. 615 trout landed in 2017 with very few rods fishing with probably about 70% fish over 20 inches and roughly 50% over 23 inches. So in a nutshell – Laxardalur is for the very big fish, Myvatnssveit is for slightly smaller fish - but big numbers. The Haukadalsa River is one of the best salmon rivers in Iceland. The rivers is relatively short and there is a new pool around every bend so a lot of the time anglers are simply walking between pools. Big heavy double handed rods are not needed and will only make things difficult. Also big heavy flies are not needed. Light wt. Doubles or switch rods can come in handy but in no way necessary. Sink tip line w. Max 15 foot sink tip (depends on time of year you are fishing). 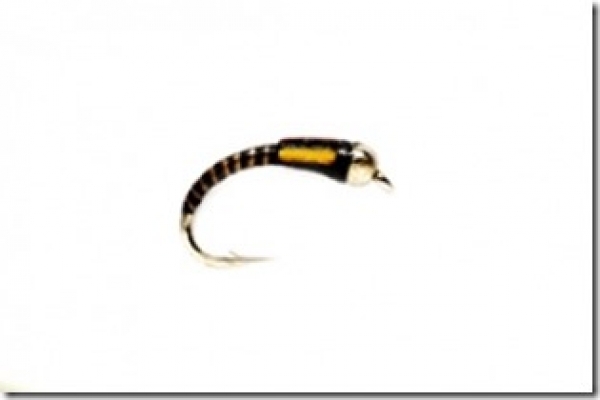 Tapered leaders – 9 – 9,5 foot – 12 - 14 pound test. Tippet material 8 - 12 pound test. 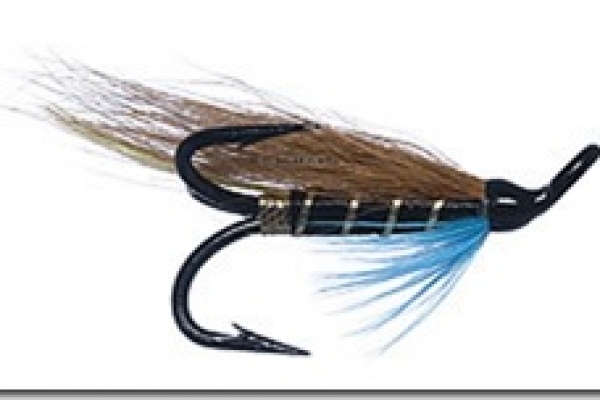 Hook sizes vary with size of tube. We recommend hook size 10-12 for hitch tubes. Smaller for micro hitch tubes. Has 6 double rooms, one for each rod allowed on the river and one extra, with en suite bathrooms. There is a wader drying room, hot tub, sauna, sitting room and dining room. There is wi-fi in the lodge. There is cell phone reception along the river and the lodge but it is poor in places, especially in the lodge. The food is served in the morning as a breakfast buffet, continental style with eggs and bacon served warm. There is a lunch buffet as well to accommodate the guests that want to nap during the mid-day break and then followed by a buffet of cakes, bread and biscuits before the afternoon session. The dinner is served on the table on plates and is usually 3 courses. Wine, beer and mixers can be bought at the lodge as well as the essential flies and some other essential pieces of kit. There are a total of 3 rods allowed in Pools 1 through 29. 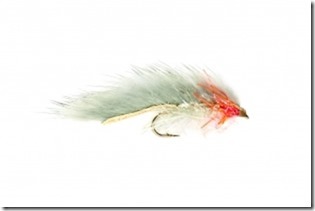 In the summer the fishing is usually centered around pools 1 through 15. Targeting brown trout mainly with dry flies, nymphs or when conditions call for it, streamers. 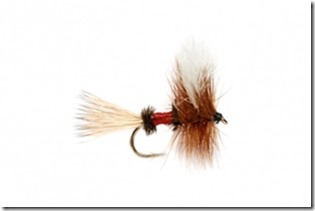 The number 1 food source for fish on Huseyjarkvisl are chironomids. 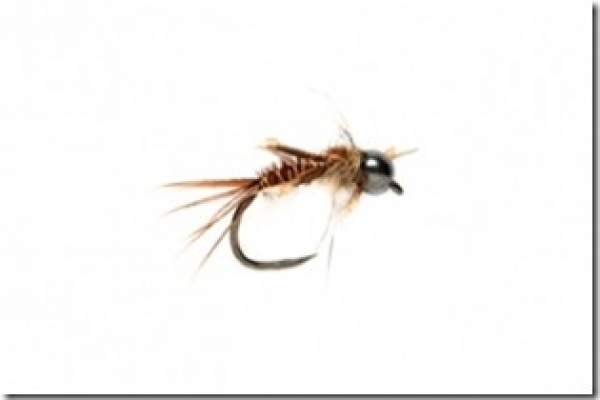 Caddis are also found and Limnephilus Griseus the most common one in Iceland. Twelve species of Caddis have been found in Iceland so the selection is not that high really. 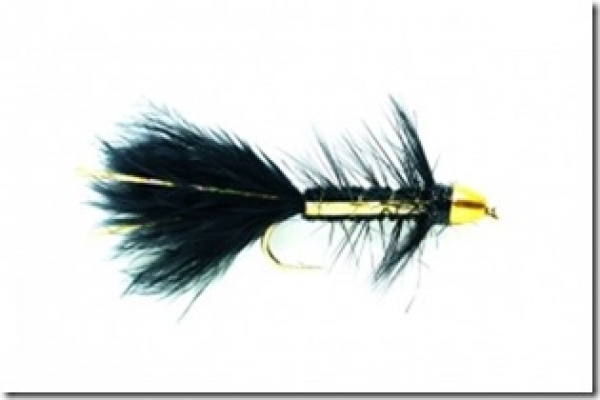 Fish also feed on salmon and trout fry and smolts so they will hammer a well presented streamer. 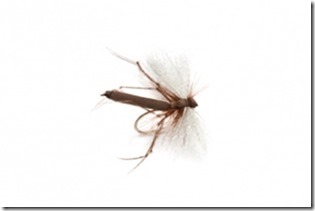 In early August 2008 I witnessed a Mayfly hatch in the river and during all my years of fishing Iceland I‘ve seen that only 3 times in total. Usually there is a hatch in the morning and again in the evening but that depends on the weather conditions each day. Below you will see some examples. I’ve only picked out a few and these are just general ones and anything similar will do just fine, or at least the imitations of the same insect. 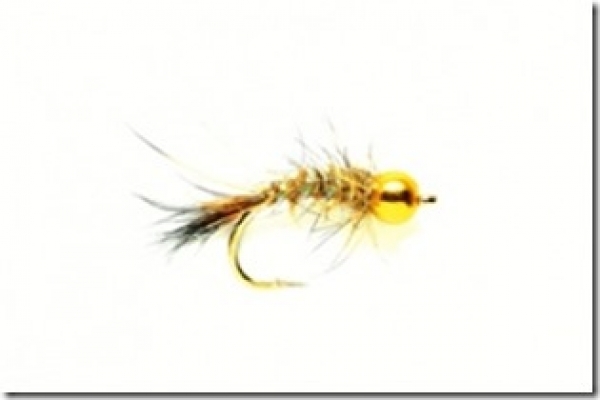 Below are some examples and here you will find imitations of Chironomids and Caddis. Just a selection of colors really. Personally I don‘t think the pattern matters all that much as long as it is indicative and I always want to have some color variations in my box. Iceland Flies for Atlantic Salmon Fly Fishing – Call us for more information, there’s a lot more! Take highway 1. via the west coast from Reykjavik. Drive through Borgarnes and on the last roundabout on the edge of town take the last exit on to Highway 54. Stay on that road until you come down into a small bay where you see the river joining the sea. Take a right turn on to gravel road number 536. Stay on that road for about 5 mins until you see the lodge on the left side overlooking the river. The Langa River is one of the best salmon rivers in Iceland. The rivers is known for numbers rather than size of fish so please keep that in mind when packing your fishing gear. Big heavy double handed rods are not needed and will only make things difficult. Also big heavy flies are not needed. Light wt. Doubles or switch rods can come in handy but in no way neccessary. Has 12 double rooms, one for each rod allowed on the river, with en suite bathroom. There is a wader drying room, sauna, sitting room and dining room. There is wi-fi in the lodge but the signal is weak on the bedroom corridor so the common area has the best signal. There is cell phone reception along the biggest part of the river and in the lodge. There is no signal on the „mountain beat“ so peace and quiet can be enjoyed up there. From Reykjavik take highway 1. to the east. You go through the towns, Hveragerði, Hella, Hvolsvöllur and Vík. When you go through Vík, you drive approx 40 km and then take a turn to the left to road number 209. You drive road 209 approx 10 km and then you will see the lodge/cabin on the left. The lodge is two cabins with veranda attaching the two. It has two bedrooms in the cabin on the left and two bedrooms in the cabin on the right. Arrival time is at 13:00 and you can start fishing at 14:00. Fishing times are 7:00 – 13:00 and 14:00 – 20:00. On departure day you must stop fishing at 12:00 and leave the cabin before 13:00. 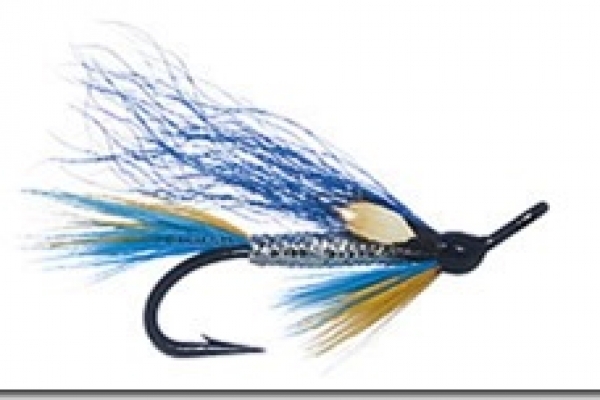 In the autumn fish can be anywhere in the river but the biggest fish will be found in the upper part of the river while the new fish will be found mostly in the junction between the glacial river and the Tungufljot itself. Cast into the dirty glacial water and usually the take is where the dirty and clean water meet. The fish hang around underneath the dirty water. Be careful when wading, especially in the glacial water and below the junction of the glacial water and fresh water. Light wt. Doubles or switch rods can come in handy. Tapered leaders – 9 – 9,5 foot – 16 – 20 pound test. 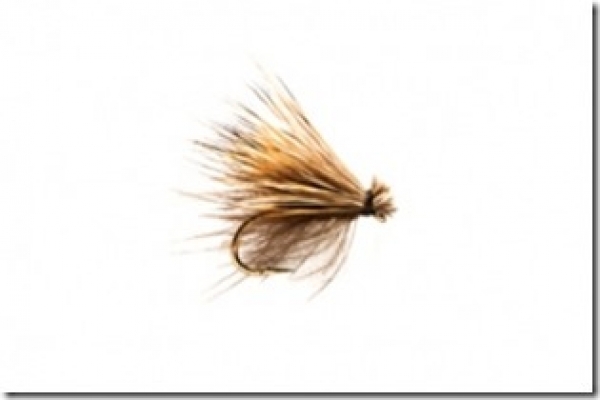 Tippet material 13 – 18 pound test. 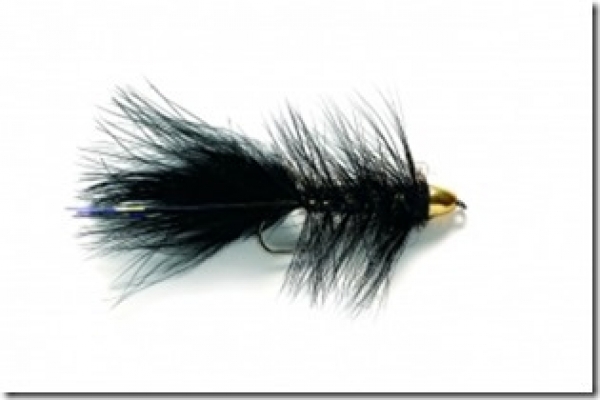 Black marabou streamers work very well. Helps to have black and silver. A simple pattern is black marabou tail with strands of flash, silver body, black hackle and bead. Helps to use wheight on the flies as well. All seatrout and brown trout must be released again. Salmon and char can be taken. There are a lot of both salmon and seatrout in the river and the seatrout can be very big. There are 4 bedrooms, two bathrooms with shower. There is a kitchen with most neccessary appliances and cutlery. There is a gas grill at the lodge as well. Not a very big river. Fished with a max of 6 rods daily from top to bottom. Top section is smaller and faster with smaller pools. Fish can be anywhere and I recommend you try also the top section and nymph the small pools up there. Mid section flows through the town of Hveragerdi. 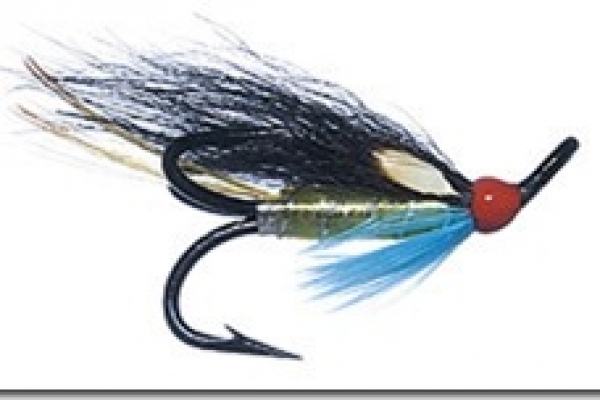 There are waterfalls (dams) and big sea trout are often found below and above the waterfalls. There is a golf course in the outskirts of town and there are deep pools often full of sea trout. The lower section is slower with undercut banks, deep slow pools. There is an area just below the highway where there is a large white building on the banks. That area is great and often full of sea trout, char and brown trout. Simply follow highway 1 from Reykjavik to the east about 30 mins until you reach the small town of Hveragerdi. There is a roundabout when you enter the town and to get to the top part you simply take the last exit out of the roundabout and into town. Then simply stay on that road through town and then you end up near some stables and that is the top section. To get to the lower beats you can either cross the highway bridge and take a right. Also possible to take the first exit to the right at the roundabout and drive down that road until you see a gate and a dirt track to the left with a sign that says SVFR. 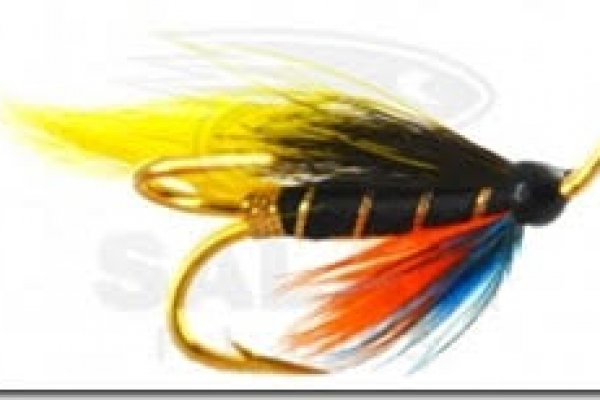 Only fly fishing is allowed and all fish must be released again. All fish must be logged into the catch book. Rods: 9 foot 4-7 wt rods. Nylon: 0,2 – 0,3 mm is the max. But remember there are big fish around in the Varma and you are sometimes casting heavy nymphs and streamers so bring thicker nylon for that as well. 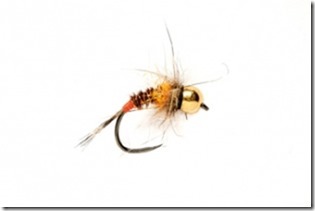 Bring both weighted and unweighted nymphs in sizes ranging from a size 10 – 20. Look for midge and caddis/sedge imitations, Czech nymphs. For streamers bring wooly buggers, rabbit strips and other marabou tailed flies. For dry flies bring midge imitations as well as caddis imitations. From Akureyri take highway 1 and follow it until you start to see the river on your left. Take a left turn, cross the bridge and then take another left turn and another left turn. You will then end up on the parking lot in front of the lodge. From Akureyri take highway 1 until you reach the intersection of highway 1 and highway 845. Take a left turn. Then take a right turn onto highway 854 and follow that road until you almost reach the powerstation and the bridge over the river. Instead of taking the left turn stay on the road and keep straight and go up the hill. Soon you are in the valley and you will see the bridge crossing the river and the lodge is right there. This is brown trout only, fly only and we encourage catch and release. 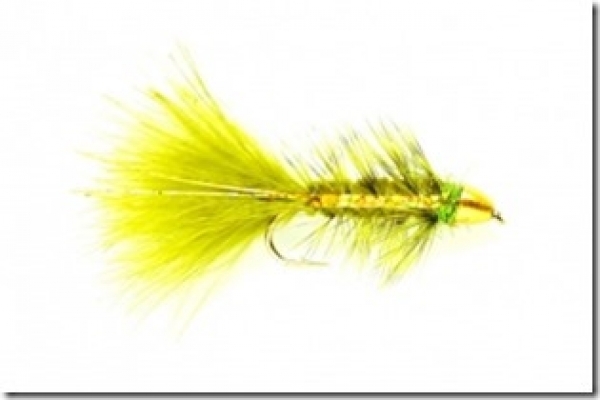 Depending on the weather conditions this river offers incredible fishing with nymphs and dry fly or streamer for those who like that. 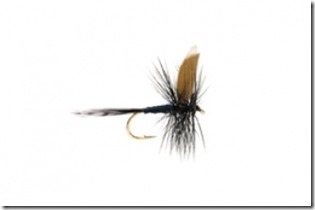 These can be a pest on warm sunny days when there is no wind so bring your fly nets. There are also quite a lot of caddis in the river so caddis pupa imitations as well as larva imitations, especially cased caddis, have worked quite well. There is a beat rotation system on these rivers so please contact the head guide in the lodge or the lodge staff for information on your beat. Usually a diagram with room numbers is put on the wall in the lodge to show you where you are fishing at any given time. Fishing hours are from 8:00 – 14:00 and 16:00 – 22:00. Meals are served around these times. Leaders should be strong as the fish are very strong and there are sharp rocks in the water. 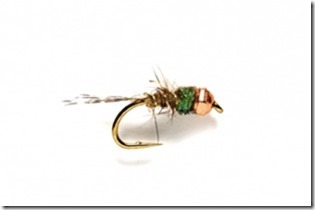 We recommend never going below 5X tippets, preferably use 4X tippets. Leaders should be about 11 – 15 feet in length. 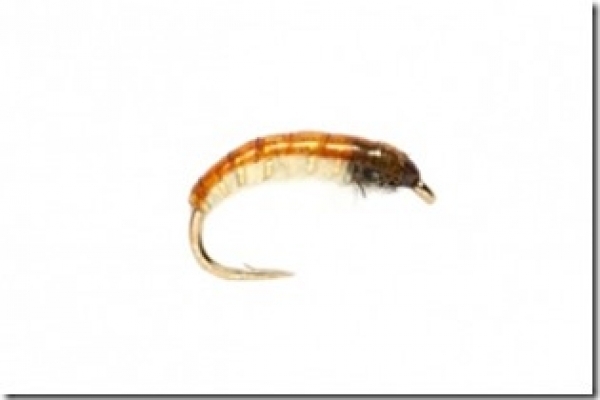 Bring weighted and unweighted nymphs imitating caddis larva and pupa as well as midge larva and pupa. Split shots and strike indicators. Bring mostly midge and caddis imitations with some parachute/emerger patterns as well as winged patterns. 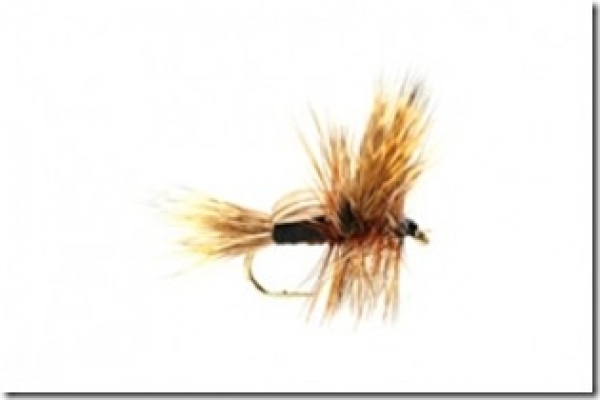 Dry fly gel, something to dry your fly, sinkant. From Akureyri. Drive through town. Take a left turn on to road number 1. Stay on this road. You will drive by a lake and then a waterfall. Drive up the hill and down again always staying on the same road. When you come down take a left turn on to road number 845. You will soon drive by a lake on your right. When you come past the lake you see a turn to the right that says LAXÁRVIRKJUN – GRENJAÐARSTAÐIR. Stay on this road until you get to a big power station. You have the river on the west bank (2 rods). Just before the bridge across the river near the power station you see a turn down to the river. There should be a sign there that says „Staðartorfa“. You can drive the car as far as you dare – which is about down to the river. Note that fishing hours are 7 – 13 and then 16 – 22. You have to stop between 13:00 – 16:00. You can camp at the top of the beat, near a cliff. 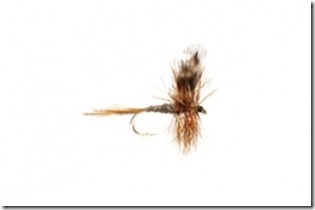 Mostly dry fly fishing unless it‘s windy or raining. 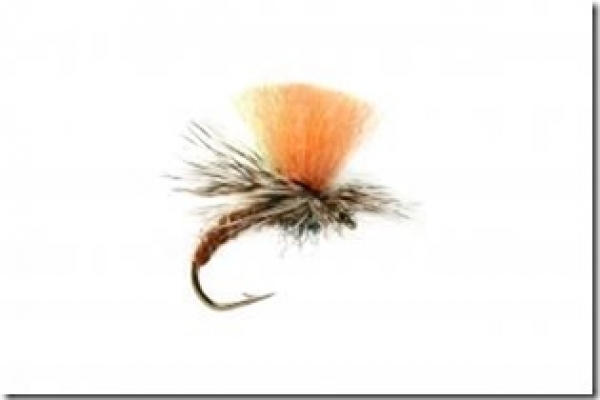 Then nymphing is most effective as well as streamer fishing. Look for fish close to the islands and behind rocks or in obvious feeding lanes. Usually the hatch is in the morning and again in the afternoon – evening. We recommend being on the river at 7.00 in the morning unless it‘s windy and raining because often the best dry fly fishing is early in the morning. See map for the area you are allowed to fish.